Don’t forget to follow Whole 30 on Facebook and Instagram!! Tons of support and recipes. 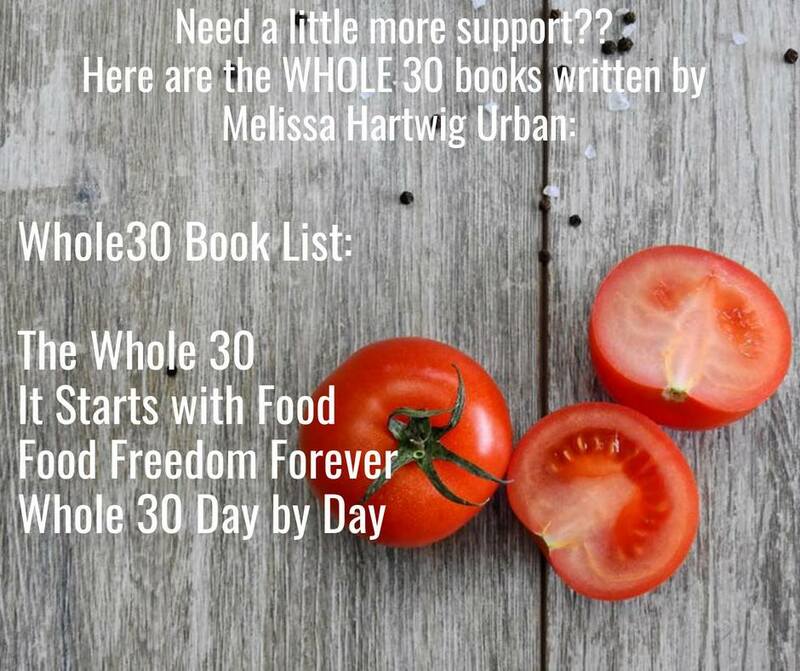 Search Whole 30 on Instagram and you’ll find W30 approved food brands, nutritionists, authors, bloggers, etc. for more Whole 30 support. These are popular Paleo sites with W30 indexes. Search within the site or look for special W30 labels / tabs / menus / headers. Read the recipes if you’re not sure. NomNom Paleo. This is a long time, popular Paleo site. She has cook books out too. Olive You Whole. Caroline is a W30 expert and even a W30 Certified coach. You can trust her. Against All Grain. Danielle Walker has been in the Paleo spotlight pretty much from the beginning. She has books, great recipes, a great site and she a truly wonderful person. You will want to be her friend. Paleo Running Momma. Michele is a mom of 3 and creates healthy, family focused recipes. The Nourishing Home. Free W30 meal plans! The Whole Smiths. Michelle Smith has a W30 approved cookbook. Lots of recipes on her site too. Well Fed. Mel Joulwan is one of my favorite Paleo guru’s. I have all her cookbooks. Whole Hardy. A W30 site with information, tips, reminders and recipes.